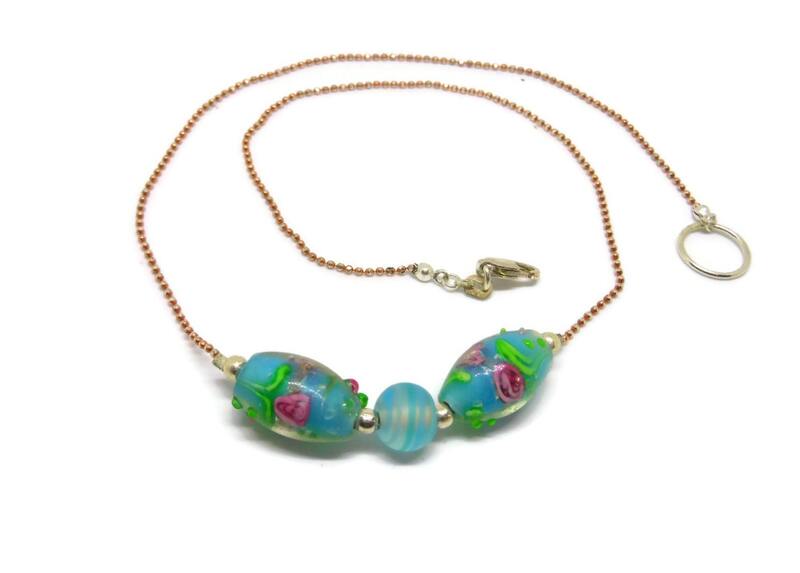 Lampwork necklace, rose gold plated over sterling silver, two tone sterling & rose gold plate chain, blue green lampwork beads, floral beads. 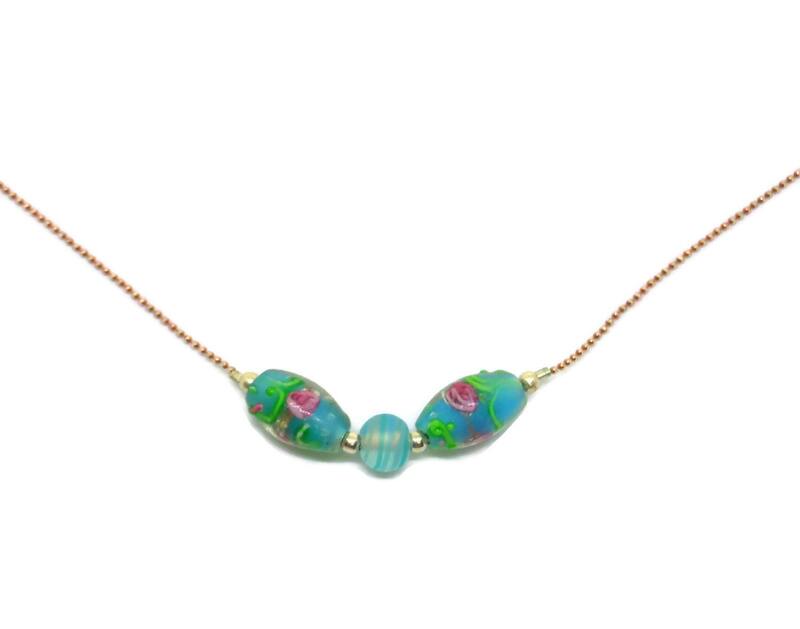 The two tone effect gives this necklace wonderful sparkle. 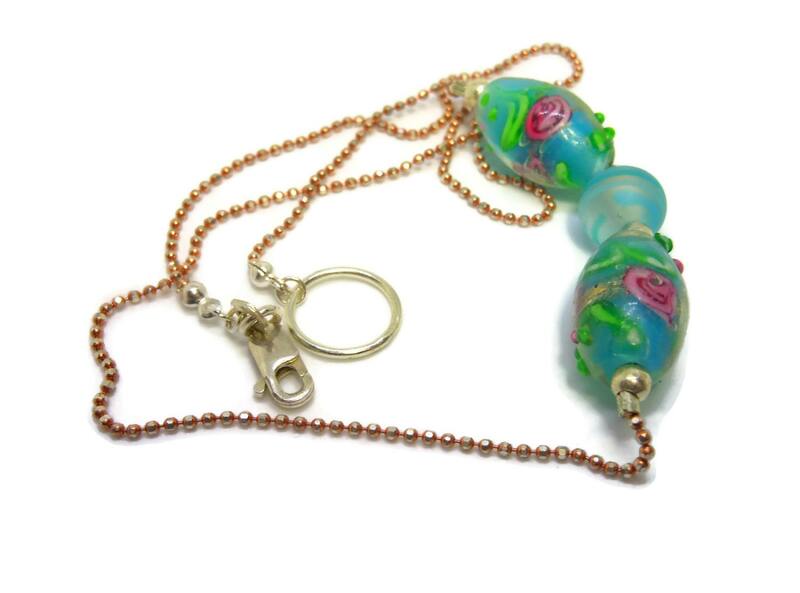 The ball chain is made in Italy. Necklace is superimposed over model photo to give idea of look. 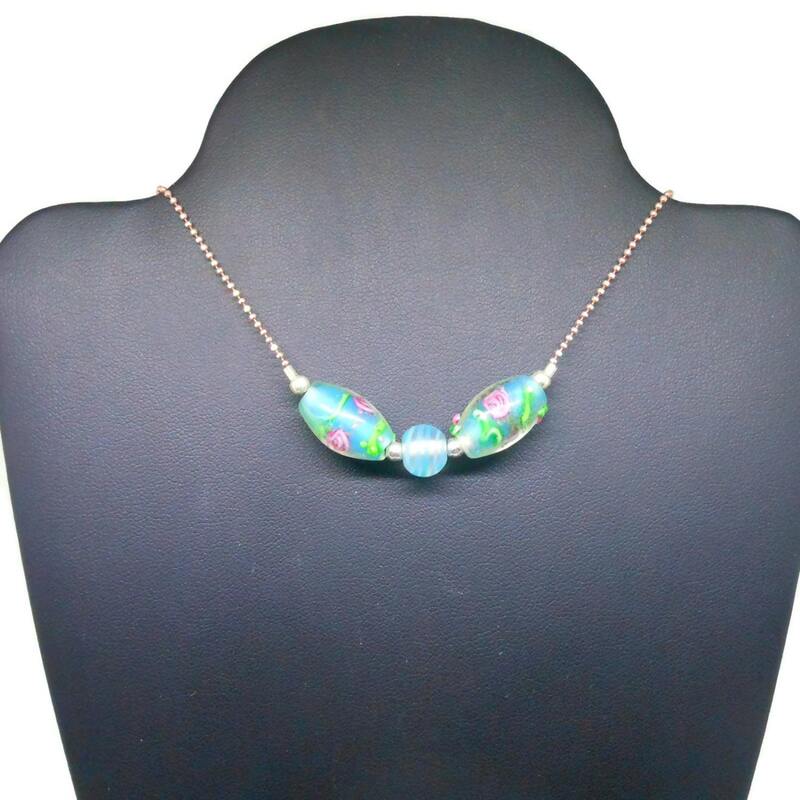 Necklace is 16" (40.6 cm) without the clasp.